Uptown, downtown, all around town, the Midtown Bar Stool by Hillsdale has the right combination of sophistication and style for a loft in Soho or a condo in Chelsea. 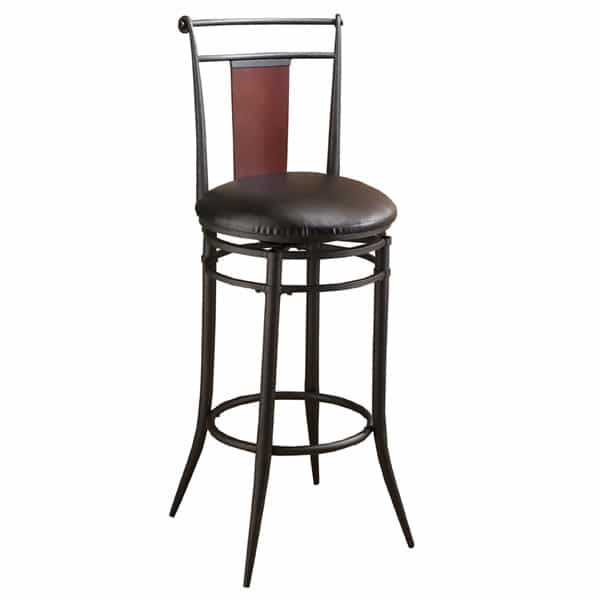 This forged metal swivel bar stool features a black frame highlighted by a hardwood back splat finished in rich cherry. The padded seat is upholstered in black easy care faux leather. The Midtown Bar Stool has a 360 degree swivel mechanism, enabling you to use anywhere from a spacious penthouse to a tiny apartment. It is available in both a bar and counter height version.